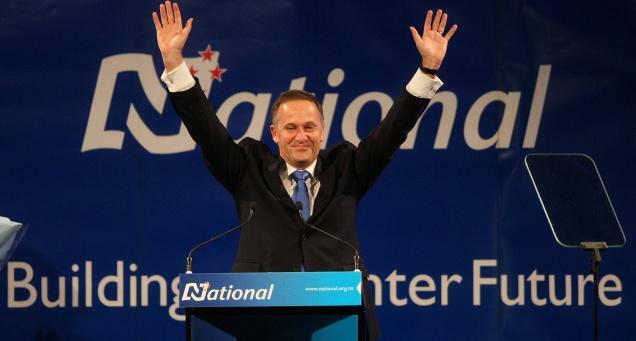 Over the weekend we had the New Zealand General Election, the National Party was once again the winner on the night, and with a surprising percentage of the party votes will now enter their third term in Government. The big question for us, and you, is what this result means for employers and employees. National are looking like a sure thing to hold a majority in parliament and can govern on their own without the need for minority coalition partners, this means that they will be able to pass the Employment Relations Act Amendments put forward by Simon Bridges without any opposition. The biggest and most controversial changes to the Act come in the form of Collective Bargaining reform. This is where the Bill faced the most opposition at Select Committee. Sweeping changes come in the form of employers being able to opt out of collective bargaining if a stalemate is reached, the 30 Day Rule, whereby new employees are given the conditions of the collective for the first month is repealed and employers now have the ability to opt out of multi-employer collective agreements. You may not like these new provisions, but put down the signs, the megaphones and back away from the picket line, employers will now have the ability to decrease employees’ pay in response to partial strikes. A main policy of the amendments is to increase flexibility in working arrangements for both employers and employees. These are implemented in the form of restructures to the provisions around rest and meal breaks, and employees’ abilities to request flexible working arrangements. Any employee may request changes to their working arrangements, including their hours, days or place of work. Previously this was limited to people who had another person in their care. This doesn’t mean you can start working from home in your PJs though! Employers have one month to consider the request and respond and may decline the request under certain circumstances, including quality decreasing, performance suffering, if it will cost them more, or the additional workload won’t be able to be spread among the current staff. Workers will not rejoice over the new rest and meal break policies, instead of prescribed times the Act will move to a standard of reasonableness, and if an employer can’t reasonably provide breaks then the employer must provide them with compensation. These new standards are interesting as they are not defined and will likely to be tested in the Courts, though it does at a glance seem like an erosion of employee rights. These changes may not be popular with all, but they will be passed into law soon enough with the result of the election. If you have any questions about how they will impact you as an employer or your rights as an employee, contact BuckettLaw, the employment law experts.